This beautiful belt is shown 1 3/4" in Dark Brown. 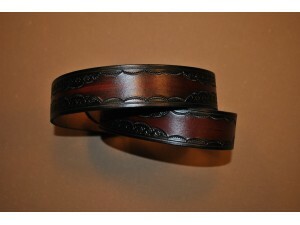 A great belt for men or women alike. The second picture is British tan.